Sai Webtel is a frontier in providing high quality customer oriented website design and development solutions. 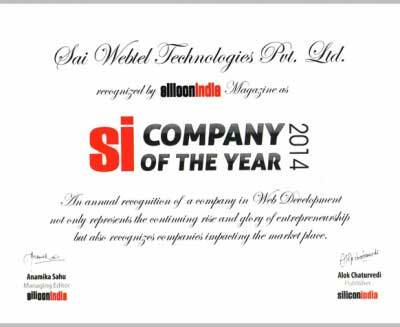 Headquartered in Gurgaon, Delhi (NCR),Sai Webtel was established way back in 2007 with the aim to deliver business value and establish long- term partnerships with its clients. Sai Webtel differentiates from its competitors through its cutting –edge online business solutions for its clients with the ultimate aim to grow their business .Our creative team has a deep understanding about how to build effective online marketing packaged solutions. We strive to be the first and the foremost visualizer, innovator, promoter and consultant for everything and anything related to online business. We design and develop innovative web based applications that are customer-centric and compatible across various platforms and web browsers. We have collaborated with small and medium sized enterprises in the healthcare, travel and hospitality, education, e-commerce and real estate sectors, providing them with cost –effective business solutions that have helped in positioning themselves better in their niche markets. We believe in acting as an extension of your internal team by streamlining your mundane activities with our automated software solutions .With our creative development team at Sai Webtel comprising of experienced professionals , you are assured of running your online business smoothly within the specified deadlines . We know how to use our expertise as fuel to generate more profits for your business. Director- MarketingDeepak Sahni - Serial Entrepreneur with IT / Healthcare Businesses. He brings in over 12 Years of Industry Expertise along with his IT brain and computer science qualification with hands-on experience in Coding, Design, Online Marketing, SEO, Social Media and Digital Marketing, He is a mentor to many at SWT. 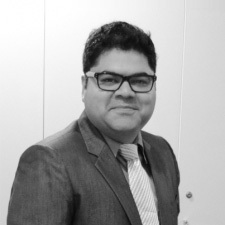 Director – ITIT Director at SWT with over 12 Years of Experience in Design & Graphics. 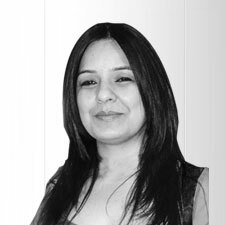 She is the core of back-end work management, quality and new skills being employed at the work. Working & Managing timelines is what gets learnt under her supervision.